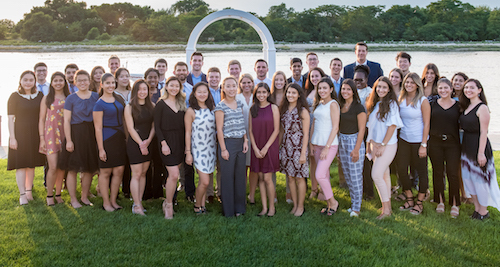 August 2018 - A celebratory reception was held at Stony Brook Yacht Club in honor of the incoming Class of 2022 on Tuesday, August 8th, 2018. 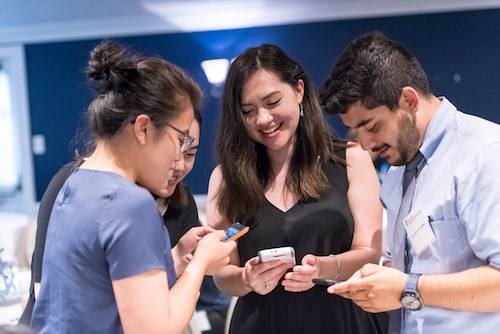 Each year, Stony Brook School of Dental Medicine welcomes its incoming first-year students with a celebratory reception that caps off a day within orientation week. 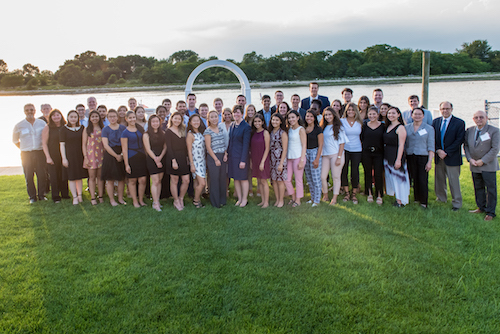 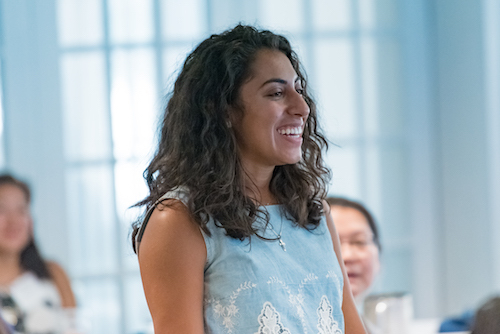 At the August 8th event, members of the Class of 2022 were provided an opportunity to become better acquainted with their peers, as well as with members of Stony Brook School of Dental Medicine’s faculty and staff. 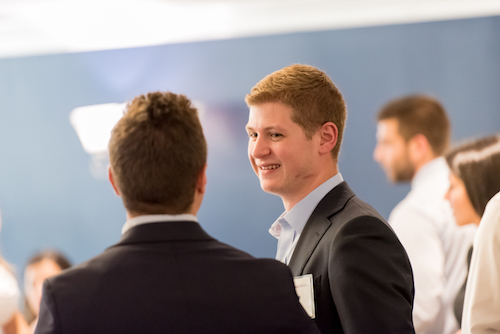 The evening kicked off with conversation and refreshments ahead of diving into a casual dinner. 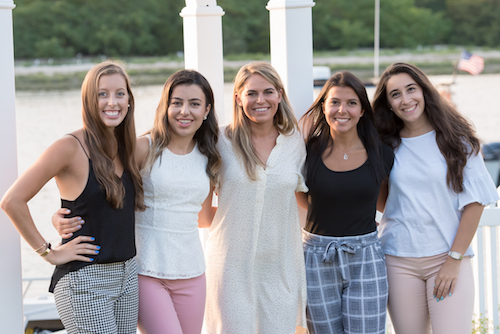 Students were then welcomed outside to take their first official photo as a group in front of the beautiful backdrop of Stony Brook Yacht Club. 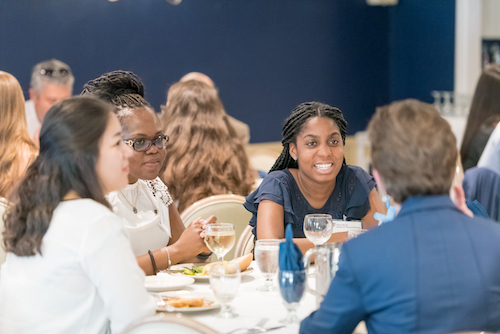 As the evening progressed, attendees were welcomed by Dr. Dolores Cannella, Associate Dean for Education, and by Dr. Mary Truhlar, Dean, who led introductions around the room. 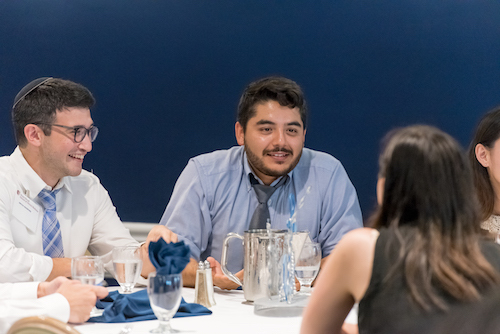 Students connected with their peers by mentioning a hobby or what they’re looking forward to, like playing volleyball in the area or finding friends who also love to cook.